Posted on October 18, 2018 at 3:43 pm. Mookai Hotel is just a few minutes away from the airport ferry terminal Mookai Hotel is an ideal choice for business travelers and tourists visiting the bustling city of Malé. With luxury Penthouse suites overlooking the city and the seascapes, fully equipped apartments and superior rooms, the hotel comes with a variety of attractive facilities like a rooftop swimming pool, whirl pool and jacuzzi set alongside a tropical terrace garden. Spacious apartments and superior rooms, all fully air-conditioned, with free WiFi and equipped with modern amenities to make your stay in the city a more rewarding experience. With private balconies overlooking the ocean and the city, all rooms are well furnished and warmly designed. Dining for hotel’s guests arranged by Kam Hotel, just across the street. You can order room service from Kam or just drop by for a sumptuous meal or leisurely coffee. Kam Restaurant is loved both by locals and visitors for its excellent food, and especially popular lunch buffer. HACCP standard certified and featuring a well-rounded multi-cuisine menu, you will find both the food and environment and welcoming experience. Posted on March 20, 2018 at 1:58 pm. German chef Johannes King jets into Niyama to host two exclusive five-course dinners. Owner of the Michelin-starred Söl’ring Hof, Chef Johannes will serve modern European cuisine paired with a selection of wines in a stunning setting 500m out in the middle of the Indian Ocean. Chef Johannes began his career at the prestigious Franz Keller restaurant in Cologne specializing in French nouvelle cuisine. He then trained under master pastry chef Karl Schumacher at Vienna’s Konditorei Oberlaa, perfecting the traditional desserts for which the café is renowned. Chef Johannes relocated to Berlin to work at Henri Levy’s Michelin-starred restaurant, Maître, then joined the culinary team at the InterContinental in the upscale Tiergarten area. Chef Johannes found his passion for fresh, seasonal, locally sourced dishes at Hôtel de la Poste on the Côte D’Or, known for its regional Burgundian cuisine. His experience here inspired him to open his own destination restaurant in 2000. Söl’ring Hof on the island of Sylt commands two Michelin stars and 17 Gault Millau points. Gourmands from far and wide have made the pilgrimage to the island to taste Chef Johannes’ modern textures and light flavors in a surreal landscape. For two evenings only, on 29 January and 2 February 2018, Chef Johannes will bring the cuisine of Söl’ring Hof to Niyama’s Edge. Edge is a modern, fine dining paradise accessible only by speedboat. Set out over the lagoon tinged with the hues of sunset, Edge offers wrap-around seating under a billowing white canopy and sits above the Maldives’ only underwater playground, SubSix. Across Niyama’s two islands, Play and Chill, guests are treated to one-of-a-kind epicurean adventures, from Asian avant-garde cuisine in the treetops to South American barbeque deep in the jungle. Posted on May 11, 2017 at 3:53 pm. 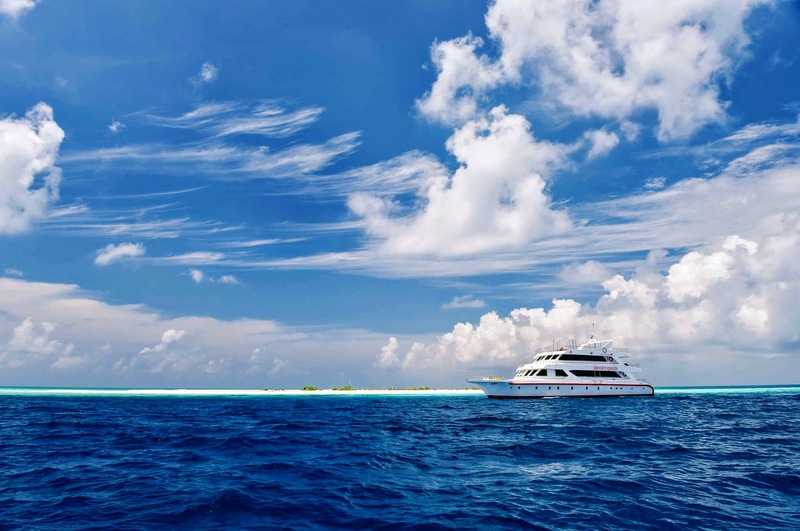 Since its launch in 2004, it has been one of the most sought after luxury cruiser in the Maldives. The popularity and demand for this cruiser is sure to rise with the relaunch. MV Sunset Queen offers a host of attractions ranging from its contemporary accommodation to its incorporation of open spaces – four decks. One of the highlights is Jacuzzi experience at the top deck coupled with stunning views. Opt to cruise with us for an array of possibilities which awaits you aboard. For divers, snorkelers and surfers alike our cruiser offers you unlimited spots in the pristine and inviting waters of the Maldives. We cater for your every need, with personalized attention to detail on each and every journey. Why you will love it! Spacious & contemporary designed accommodation. From 9 cabins we have transformed it to 7 spacious cabins. Jacuzzi on the top deck with sun beds. Bask in the sun in style. Host of possibilities for diving and snorkeling sites/ surfing points/ dessert island excursions/ island hopping to local islands/ visit to resorts/ fishing and BBQ. All cabins are air-conditioned as well as restaurant & salon area. En-suite Bathrooms with amenities as well as hot & cold fresh water. Gastronomic delights made from fresh ingredients. MV Sunset Queen is now available to book for private charters with the option for diving and surfing cruises. Posted on May 9, 2017 at 12:30 pm. Uncover Asia – Maldives & Sri Lanka combined offer! Embark on a journey to uncover Asia’s hidden jewels in Maldives and Sri Lanka. Book any of the Sun Siyam Resort property in the Maldives together with Sun Aqua Pasikudah in Sri Lanka and get 5% discount. Stay dates from now onwards with no blackout dates, last check out date on November 1st, 2017. Applicable where Maldives (stay at either The Sun Siyam Iru Fushi, Sun Aqua Vilu Reef or Olhuveli Beach & Spa) and Sri Lanka (Sun Aqua Pasikudah) are booked as a package at the same time. Applicable when Sun Siyam Resorts are booked for the same travelers at the same time. Discount is applicable on room rate based on the meal plan basis. Discount is not applicable for extra person and other supplementary charges (transfer and meal plan supplements). Combinable with other special offers. Free Dining Plan Upgrade at The Sun Siyam Iru Fushi Maldives! Experience a tropical retreat with extreme value additions on your stay! Book on any dining plan and get a complimentary upgrade to the next dining plan, at The Sun Siyam Iru Fushi Maldives. Only available for bookings through the official website, www.sunsiyam.com! Book on Bed & Breakfast – Free Dinner on us! Book on Half Board – Free Lunch on us! Book on Full Board – Free upgrade to All Inclusive on us! All offers are subject to availability at the time of reservation. Offers are not valid in conjunction with any other offer or contract and do not apply to groups. Rates are per room, per night, vary by arrival date and/or length of stay, and do not include applicable taxes, service charges, levies, resort fees, gratuities or surcharges, unless otherwise noted. Children under 12 stay free sharing parents bed. USD 6 green tax is applicable per child per night as per government regulations. Posted on May 2, 2017 at 7:17 pm. Budget carrier SpiceJet is set to launch its first international flight from Thiruvananthapuram this month with a daily service to Malé. With the launch of the new flight from May 10, the capital city of the Maldives will be connected to two destinations in Kerala — Kochi and Thiruvananthapuram, an airline official said. The new flight will be operated with Bombardier Q400, which has a seating capacity of 78. The Gurugram-based budget airline operates 342 average daily flights to 46 destinations – 39 domestic and 7 international. The airline has offered special introductory fares for the Thiruvananthapuram-Malé flight, the official added. SpiceJet had earlier announced the launch of a flight service to Dhaka from Kolkata from May 16. Spicejet is a low-cost airline headquartered in Gurgaon, India. It is the third largest airline in the country by the number of passengers carried, with a market share of 13.2% as of March 2017. The airline operates 312 daily flights to 55 destinations, including 45 Indian and 10 international destinations from its hubs at Delhi, Kolkata and Hyderabad. Established as air taxi provider ModiLuft in 1994, the company was acquired by Indian entrepreneur Ajay Singh in 2004 and re-christened as SpiceJet. The airline operated its first flight in May 2005. Indian media baron Kalanithi Maran acquired a controlling stake in SpiceJet in June 2010 through Sun Group which was sold back to Ajay Singh in January 2015. The airline operates a fleet of Boeing 737 and Bombardier Dash aircraft. Posted on May 2, 2017 at 5:24 pm. Best Spa Hotel in Maldives including an International five-star Standard is confirmed for The Sun Siyam Iru Fushi Maldives at the International Hotel Awards 2017. The announcement of the National and Regional winners and awarding will take place at The Marriott Marquis Queen’s Park Bangkok, Thailand at the Gala Event on 26th May. The International Hotel Awards is the international five-star standard of hotel ratings. It is the only organization to provide five-star accolades at an international level. The International Hotel Awards global competition determines the finest hotels and hospitality companies in the world. Main purpose of these awards is in recognizing excellence in the hotel and hospitality industry on a global scale and to promote international standard. As such winning the much-deserved award brings forth The Sun Siyam Iru Fushi Maldives to an even higher level. With the entire island a sanctuary of natural beauty, there is no need to hide away. Instead, The Spa by Thalgo at The Sun Siyam Iru Fushi is an open immersion – in organic earth and vibrant sea – the elements from which Ayurveda draws its centuries-old healing power. At The Spa by Thalgo France, we have perfected this ancient holistic tradition, blending its timeless wisdom with contemporary practices found both East and West. Our resident Ayurvedic Doctor guides our guests on their own personalized journeys to wellness both during their stay and beyond. Meanwhile, expert practitioners – in traditional massage, authentic Maldivian-inspired rituals and world-renowned wellness practices – combine finely honed knowledge with a naturally healing touch. All this in a setting that mirrors the natural splendor of the island. Wood, stone, water and light – all the fundamental elements of the earth – come together in perfect harmony in the design of the Spa’s 20 treatment rooms. Hydrotherapy pools, steam rooms and saunas are offered to complement your treatments. Meanwhile, dedicated relaxation areas are designed as natural sanctuaries, allowing you to take a moment before emerging renewed. Posted on April 30, 2017 at 8:21 pm. From candlelit dining on the beach to delicacies at the over-water Aqua Restaurant that guests can savour under the starlit sky, it comes as no surprise that Komandoo is considered one of the most romantic resorts in the Maldives and in Asia. 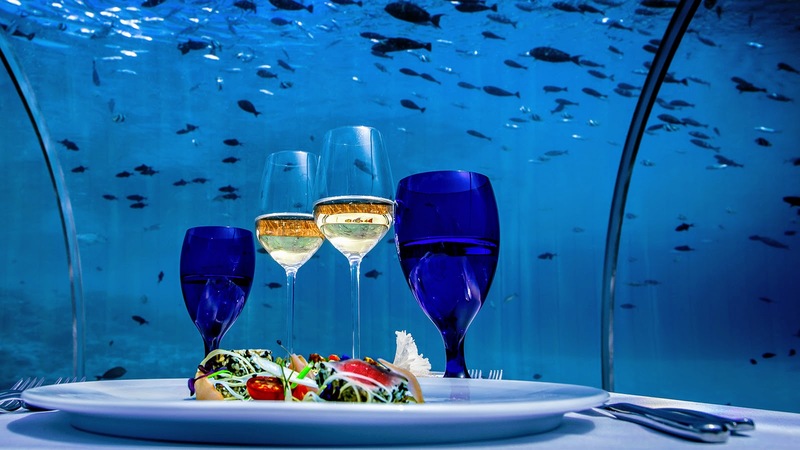 The resort’s thriving culinary scene – and since the way to someone’s heart is through their stomach, also opportunities to woo your loved one – has expanded with the opening of the world’s largest all-glass undersea restaurant at the neighbouring Hurawalhi Island Resort. Dining at 5.8 Undersea Restaurant has by now become almost a must for guests at Komandoo; while some decide to hop across to Hurawalhi for lunch, it is the dinner seating that has become increasingly popular. Thanks to the fact that Hurawalhi is Komandoo’s sister resort, we have pulled some strings and have been granted a limited number of tables during what we believe is the day’s best seating. Dinner at 5.8 Undersea Restaurant for Komandoo guests starts at 18:15, just in time for you to see the restaurant in all its bright and vivid glory, and to witness the change of scenery when the sun sets on the island. If you haven’t devised a plan yet on how to mark your special occasion, give dining 5.8 meters below the sea a try, we promise it will take romance to new heights – or depths! Komandoo is an idyllic private island retreat, a haven of charm and elegance, only 100 meters wide and 500 meters long, with attractive sugar white sand banks on both ends. A beautiful turquoise lagoon all around the island and a magnificent house reef with superb snorkeling. The vegetation is tropical with a beautiful 40-year old coconut plantation as the highlight. Komandoo is perfectly situated in a channel opening, which makes it very interesting for divers and snorkelers. 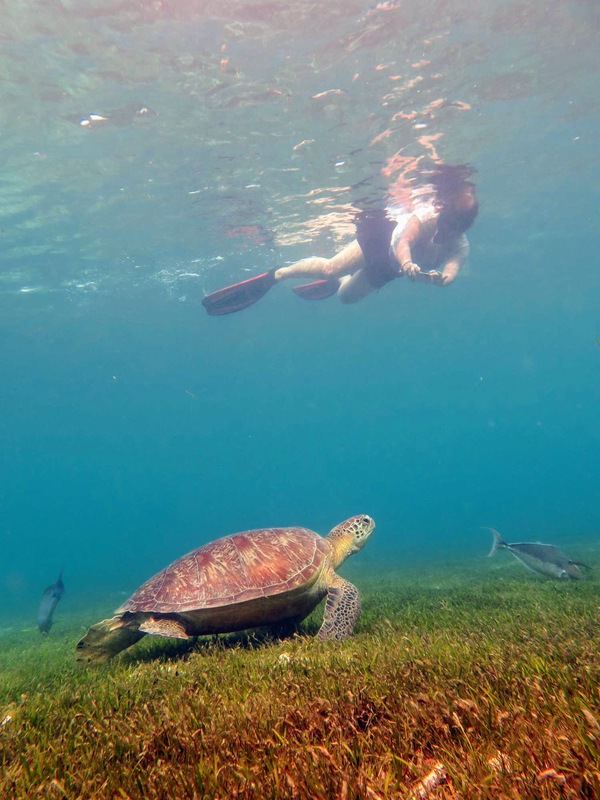 You never know what to expect when entering the waters, Turtles, Mantas, Sharks or Rays. Sitting on the “Kandu Bar” terrace, You often see a school of dolphins playing as they pass by. The Public areas, like Bar, Restaurant and Spa are all built in picturesque Maldivian style, with thatched roofs and exquisite furniture’s In the romantic open-air restaurant on the water, the sophisticated gourmet cuisine will provide lasting memories. For perhaps the most romantic evening in your life, do not miss out on our once in a lifetime Candle light dinner by yourself, on the beach, as the sun sets with a glass of champagne or your favourite wine. Together with our Executive Chef, you will compose your own menu, for that special occasion. The well-stocked souvenir shop offers a wide variety of handicrafts, clothes and everyday necessities. There is also a small internet café with internet access. Posted on April 27, 2017 at 8:29 pm. Hurawalhi Maldives hosted Martin Stelfox, founder and CEO of the Olive Ridley Project, for a 4-day visit, during which the resort’s guests and team members received a lot of interesting information about sea turtles and about threats these magnificent animals are exposed to. Martin joined our guests on two Turtle Tour snorkelling excursions; combined, we visited three different snorkel sites that are known to have resident populations of sea turtles – Kuredu Caves (a.k.a. Turtle Airport), Kuredu Lagoon and Komandoo House Reef – which allowed our guests to not only see these sleepyheads up close and personal, but also to get plenty of fascinating insights from Martin and Lisa, the resort’s resident marine biologist. The Turtle Tours were charity events and it was with great pleasure to be able to make a generous donation to the Olive Ridley Project that will surely be beneficial to the organisation’s conservations and protection projects across the Indian Ocean. To show our guest what lurks deeper down beneath the ocean surface, Martin happily accepted Prodivers’ invitation to dive at two of Lhaviyani Atoll’s famous dive sites, Kuredu Express and Kuredu Caves; in total, the divers spotted a whopping 16 green sea turtles! At Caves, the group even met two familiar turtles, Clio and Sapphire. 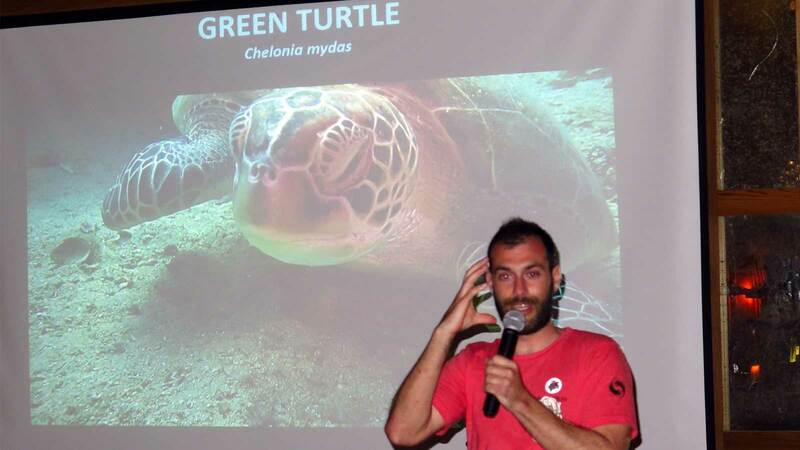 On Tuesday evening, at the weekly Prodivers’ Divers Night in Coco Bar, Martin gave a talk on sea turtle biology and the mission of the Olive Ridley Project. To wrap up the visit, Martin joined the excursion to the Turtle Sanctuary at Naifaru to visit the 4 Olive ridley sea turtles that had to be transferred to Naifaru for rehabilitation after being rescued by Hurawalhi and Prodivers. Zoe Cox, the marine biologist of the sea turtle rehabilitation centre, was a great host. On behalf of everyone at Hurawalhi, including guests who clearly appreciated the knowledge and passion he shared with us, we would like to thank Martin Stelfox for visiting the resort – we look forward to many more common turtle-related projects in the future! Last but certainly not least, a big ‘well done’ to Paige, Lisa and Martin for having removed a ghost net from the nearby Latheef dive site and thereby prevented the reef from being further damaged and marine life being entrapped. Posted on April 27, 2017 at 8:12 pm. 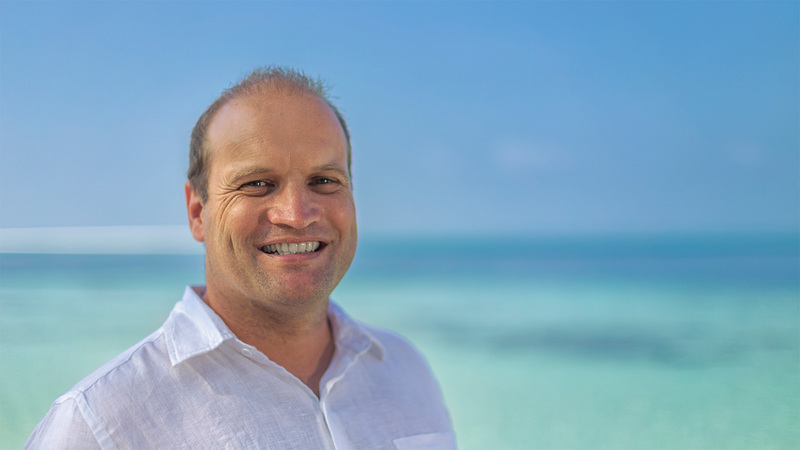 Kuredu Island Resort & Spa, the Maldives’ second largest resort, has named Patrick de Staercke as its new General Manager. To those who have had the pleasure to work with Patrick, the appointment does not come as a surprise. His professional background and excellent people skills have been a winning mix for bringing all resorts under his management to new heights; the popularity of one of the Maldives’ most romantic resorts, Komandoo, and the outstanding guest feedback that Hurawalhi is receiving, are examples of Patrick’s determination to exceed bottom line expectations and his drive to attain the best possible performance. Patrick’s management skills, passion and customer orientation are on par with his bright personality, wit and accommodating nature, which inevitably results in good spirits running high throughout the team. This nourishing of positivity and keeping a strong focus on guest satisfaction and constant improvement of facilities and services are a prerequisite for any property to flourish; by having Patrick at the helm of the resort, we are certain that Kuredu will continue to be among the best-value resorts in the Maldives. On behalf of everyone at Kuredu, we congratulate Patrick de Staercke on the appointment and wish him great success. Posted on April 26, 2017 at 2:38 pm. World’s number one beach club from Ibiza island “Cafe Del Mar” approached Singha Estate Plc and they have agreed to jointly create a one-stop world destination in Maldives. The latest partnership further underlines Singha’s attempt to provide all-round facilities for tourists after it has formed commercial relationships with renowned entertainment brand Hard Rock Hotel Group. The mega project’s first phase will be officially launched next year. Once opened, it is expected to gain attentions from tourists around the world as a top destination in the Indian Ocean. Singha Estate Plc, has revealed the latest progress of its mega project in Maldives which will consist of a yacht marina, retail outlets, a hotel and stunning white sand beach in the first phase. The company has earned trust from leading international firms including Hard Rock which will open a one-of-its-kind theme hotel in the project. In the latest progress, Singha Estate has teamed up with Cafe Del Mar, the world’s popular beach club operator whose iconic facilities are located at famous beach destinations around the world. The arrival of Cafe Del Mar underscores the project’s goal to become a world-class destination with all-round facilities that all groups of tourists ever want. Commenting on the deal, Mr. Thitti Thongbenchamas, chief investment officer of Singha Estate Plc said the contract signing with Cafe De Mar was another significant progress of the company’s mega project in Maldives. Cafe Del Mar will be the largest beach club ever on any islands which will make it a must-visit destination for every traveler. “Founded in 1980 in Ibiza in Spain, Cafe del Mar pioneers unique style of colourful and fun-filled beach clubs around the world located at famous tourist destinations in Australia, Spain and Hawaii. 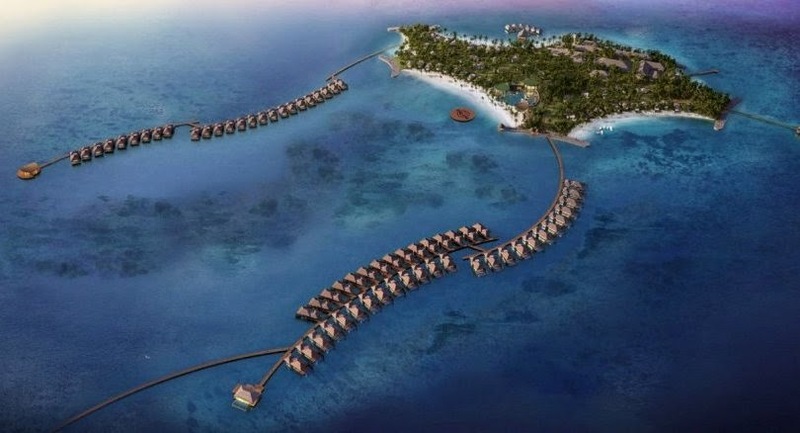 In Maldives, the beach club by Cafe Del Mar will be a flagship outlet in the Indian Ocean with space of over 5,000 sqm. The club is popular among its fans thanks to its high creativity. They have created their own music which is tailored made for each event or activity. Many of the music creations by celebrity DJs like Roger Sanchez, Dimitri, Boy George and Paul Oakenfold have been familiar among fans. This partnership is a very exciting as it could open a chance for Thai music fans to meet them and enjoy their works in the future,” he added. Director of Cafe del Mar group, Domenic Zappia said that the company is pleased that Singha decided to partner with us. “We’re thrilled to be partnering with such a credible group in Thailand as Singha Estate. 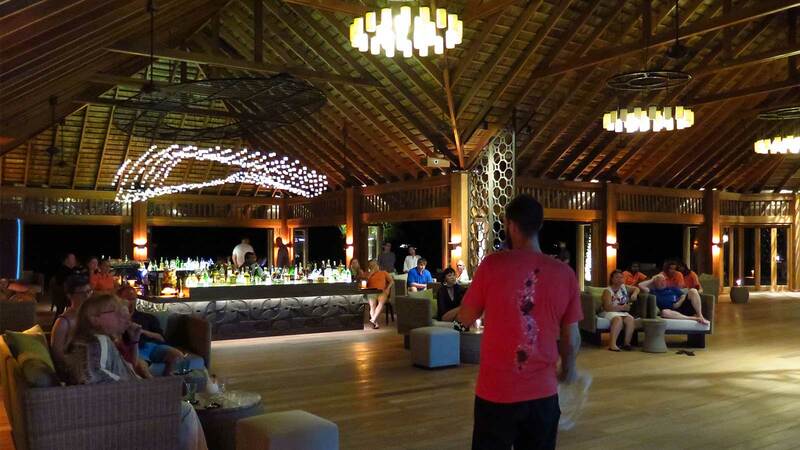 “The Maldives location has a range of qualities that are attractive to Cafe del Mar. It has an amazing climate, a relaxed vacation atmosphere, and a stunning Indian Ocean aspect. It’s the perfect place for us to expand the Cafe del Mar experience to a new market of inspired travelers. “We will stay true to our premium, relaxed style of architecture and design, quality food and beverage offering, whilst delivering impeccable service – thus keeping the essence of Cafe del Mar true to its core,” said Mr. Zappia. “However, new elements such as Wood Fired cooking in our state of the art kitchen enhanced by ingredient by Singha Group is a very exciting new addition”. The Beach Club in Maldives connected with the yacht marina can accommodate a large number of guests. The pool by the beach will be designed by a world-class designer with unique style. The beach club will offer guests the ability to experience all aspects of a vacation based on their personal tastes especially partying along with leading international DJs. The club will surely be yet another magnet in the mega-project where party-goers who are into music will spend most of their time. The club is expected to open in the first phase by next year. Singha Estate’s Thitti said that the partnerships with world-renowned companies in various aspects including the accommodations, shopping and entertainment are boosting the project’s profile. This is an unprecedented cooperation in Maldives. With the presence of the famous brands like Hard Rock and Cafe Del Mar, every tourist will certainly look forward to visiting the project. The company will reveal the first glimpse of this mega-project to the public very soon. © 2019 Maldives.com. All Rights Reserved.